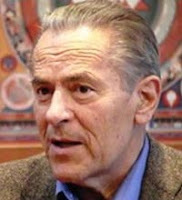 Here's yet another interesting interview by Lilou Mace as she meets Dr. Stanislav Grof at his home in San Francisco CA on the Juicy Living Tour discussing the consciousness revolution underway here now on Earth ! Dr. Grof reiterates beautifully the importance of the responsible use of psychedelics to attain transpersonal states of consciousness on our spiritual journey of awakening ! Psychedelics indeed are extremely powerful tools and should always be used purposefully and with some kind of spiritual intent ! How Psychedelic Drugs Affect Consciousness !